Excellent location with access directly onto beach. Clean if simple bungalow. Decent restaurant on site with great views over lake. Excellent pool. Very family friendly. My husband, 12 year old daughter and I enjoyed our stay very much here! The owners are very friendly and helpful and the apartment, although very simple, had everything we needed for a fun family vacation to Lago di Garda! The property was clean, had access to a beautiful lakeside area where you could swim and relax. There was a restaurant where you could play card games, enjoy a drink and some food and even borrow paddles & balls for ping pong! The grounds are lovely with beautiful flowers and vegetation everywhere and it was very safe. The pool was also very large and nice and overlooked Lake Garda. We would definitely stay again! Personnel. Very friendly and helpful. We had to shorten our visit there due to an unexpected family event and the personnel approached it with full understanding and help. Spectacular view from the swimming pool. The swimming pool and location of the terrace is splendid. Direct view on the lake, beach access and restaurant. Customer service was really helpful. Die Unterkunft war wie beschrieben "einfach aber zweckmäßig" eingerichtet. Die Kücheneinrichtung mit Kochgeschirr war gut, aber es fehlten Weingläser. Für Italien einfach ein Muss! Die Terrassen Möbel (Tisch, Stühle, Liegestühle) sehr gut und nicht verbraucht, eher neuwertig. Der Zugang zum Gardasee ganz ganz super, auch die Liegewiese mit den Liegen, einfach perfekt, der Pool gleich daneben. . Ansonsten kann man im Centro von Manega sehrt gut essen gehen (mit Auto ca. 5min.). Alles in allem war es eine sehr schöne erholsame Woche. Wir werden nächstes Jahr im September wieder dort hin fahren. Schön ruhig. Leider war meine Matratze etwas zu hart. Und ich mag eher harte Matratze. Die Zimmer waren schön geräumig, in der Küche sehr sauber und alles da was gebraucht wird. Auch im Bad war es geräumig und Ablageflächen genug vorhandenen. 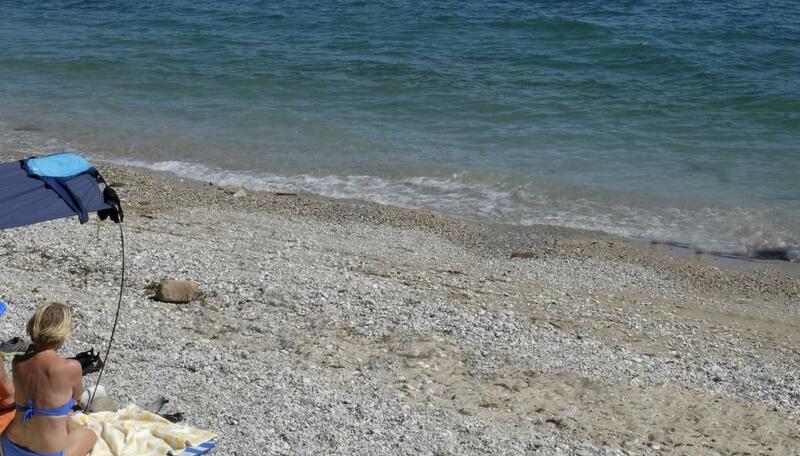 Gute Lage des Strandes. Saubere Anlage. Viele Haken zum aufhängen. Die Lage ist klasse, die Anlage ist sehr gut gepflegt. Gefallen hat uns die Lage, die Freundlichkeit, die überschaubare Größe der Anlage, der Strandbereich, die Unterkunft, .... einfach schön und vor allem ruhig. 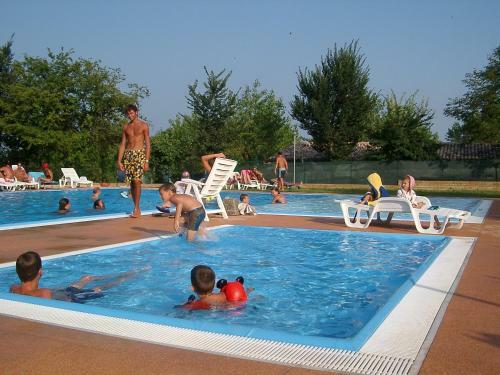 Lock in a great price for Camping Villaggio San Giorgio Vacanze – rated 8.6 by recent guests! 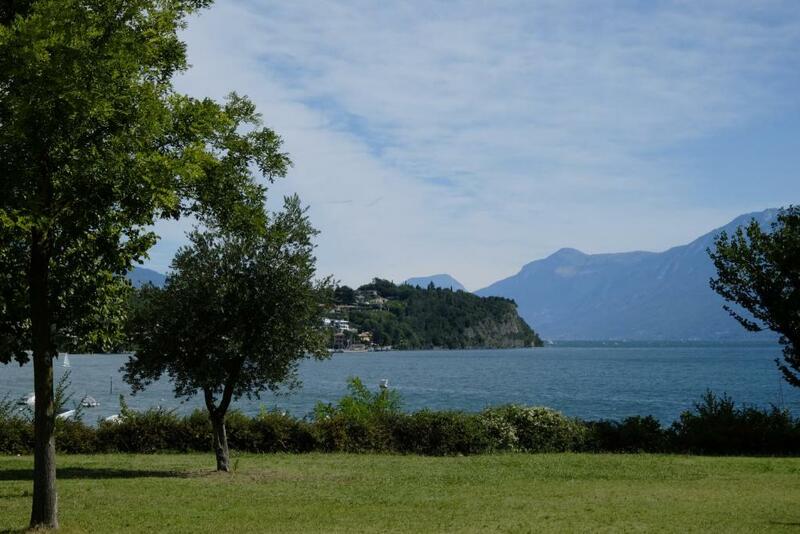 One of our top picks in Manerba del Garda.Set on the shores of Lake Garda, San Giorgio Vacanze is set in 3.5 hectares of green parkland. The complex includes an outdoor pool, bowling green and tennis courts. Manerba del Garda town center is 2.8 mi away. All self-catering apartments at Camping Villaggio San Giorgio Vacanze have tiled floors and simple furnishings. Each comes with a fridge, kitchenette and a private patio with a table, chairs and 2 deckchairs. Traditional Italian cuisine is served at the on-site restaurant. There is also a small supermarket. Moniga del Garda is 1.2 mi away, and it is a 20-minute drive to Desenzano del Garda for boats across the lake. A free parking space is included with each apartment. 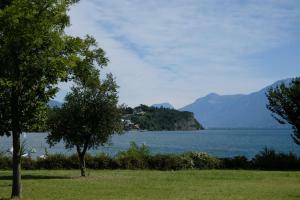 This property also has one of the top-rated locations in Manerba del Garda! Guests are happier about it compared to other properties in the area. 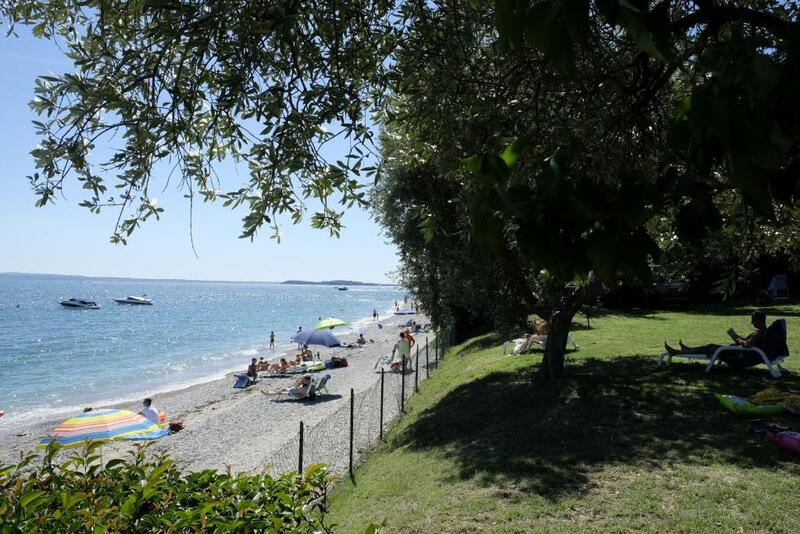 This property is also rated for the best value in Manerba del Garda! Guests are getting more for their money when compared to other properties in this city. When would you like to stay at Camping Villaggio San Giorgio Vacanze? This simple apartment includes a private patio furnished with a table, chairs and 2 deckchairs. House Rules Camping Villaggio San Giorgio Vacanze takes special requests – add in the next step! Camping Villaggio San Giorgio Vacanze accepts these cards and reserves the right to temporarily hold an amount prior to arrival. If you're using GPS to find your way, please enter the address: via San Sivino Moniga del Garda. Please note, the swimming pool is open from May to September. You can bring your own towels or rent them on site for EUR 5 per set of 3 towels. Would be good to have some sort of soft seating in the bungalow. Long walk into village centre. No A/C. I hate to even mention this because usually Lake Garda is very cool at night but it would have been nice to have the option! Otherwise, it was perfect! Location is only accessible by car. No thermal insulation of the appartment, very cold and humid at night. My kids got sick. Beach is not sand but rocks. Our appartment was far from the beach with no view, could have been informed before.